About sixty percent of those present gasped when one of the recommendations was made — in fact, it might have been 70 percent. No, I’m going with 80% of those in attendance. But it made perfect sense to me. When you first glanced at the previous paragraph, did all the numbers stand out equally? 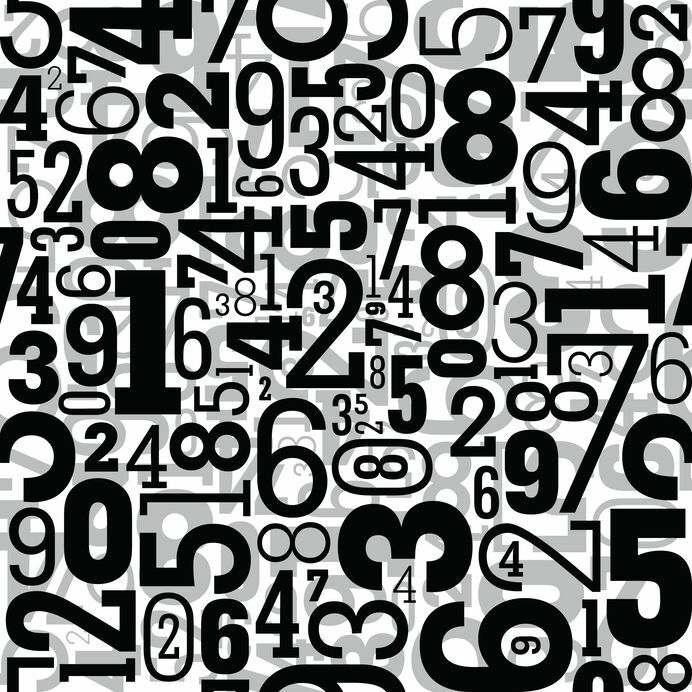 If you were looking for a number, would all the numbers be equally easy to find on the page? What if you were looking for a percentage, specifically? The change they announced was allowing writers to express percentage with % rather than the spelled-out percent. They also debated how far to go in the handling of numerals in general: Do they dare recommend using numerals even for numbers below 10? For me, the answer has been obvious for twenty-five years. Back in the mid-nineties I was teaching preparation courses for standardized tests. In some sections of some tests, you had to answer questions about a passage of text. The important thing was to check your facts. It quickly became obvious that proper nouns and numerals were much easier to find than other details, especially under time pressure. So half a decade later, when I found myself in charge of style for a website that provided medical information (such as medication dosing), I knew what I had to do. Okay, I hesitated a bit. I was strongly conditioned by counsel on readability from the most revered style manuals, so I went with spelled-out numbers below 10 for things such as days and weeks but used numerals for doses: “Take 3 times a day for nine weeks.” Obviously, that was a silly mess, so by 2006 I went with all numerals all the time (except where a 1 might look like an l). But doesn’t that interfere with readability? The question needs to be, “Readability for what purpose?” It’s obviously true that numerals, like capital letters, jump off the page more. If you’re reading dialogue, it may be strange to see “My doctor told me to take it 3 times a day for 10 weeks.” But if you’re looking for factual information — in a news story, in medical advice, and in many other places — those numbers help you find and remember the details you need. Consider: Do you remember how long ago I first realized the salience of numerals? How quickly can you check? When did I start the style guide for the medical website? And what year did I go with all numerals all the time? I bet that last one was easier to remember, and I know it’s easier to check. I also mention dosing above: 3 times a day for how many weeks? If you glance back up, you see 10. But do you see the nine a few lines above it? Did you remember it? Some may object that numerals and the percent sign don’t represent the speech sounds. This is true, but neither does one (“wun”), two (“too”), or eight (“ate” or…). 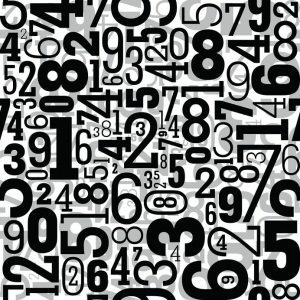 Numerals stick out when we read for the same reason ALL CAPS do: their relation to their environment and our visual expectations. You don’t always want ALL CAPS, but sometimes you do, and in some contexts you want numerals and percent signs too. Not 100% of the time, sure, but not zero percent either. Previous “Linguistics, Frankly” post: Yeet Citationality: Yippie-ki-yay! 4 Responses to "Digital Enhancement for Numbers (Go Figures!)" Thanks, James. I’ve been using only numerals in my social media posts for a few months because I know they are easier to read. But it’s hard to break the ingrained habit. And I didn’t want my fellow editors to think I didn’t know what I was doing! I just kept telling myself, “Easier for me, easier for my readers.” And I kept your previous advice on this in mind, as well as Carol Saller’s attitude about the purpose of a style guide. May I? I’m not a certified editor (yikes). A writer and caregiver. I saw the 3 x a day for nine weeks and I remembered IT, not the 10. Didn’t even see the ten. Didn’t have coffee yet either. (Should editors drink coffee?) I do have some kind of a photographic file of what I read in my memory. I would, however, be forced to read and re-read numbers and numbers and numbers and have sometimes (not a lot after a lot of re-reading) gotten them mixed up. So…but that’s not going to change your path. Just letting you know of our journey. Thanks for the humour as well. Or is it too? I have to go to school, I guess.